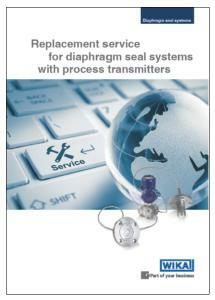 Operators of diaphragm seal systems with mounted process transmitters can now take advantage of a replacement service. WIKA has put together a service package with which the long-term benefit and the overall costs of such a measuring assembly can be optimised. 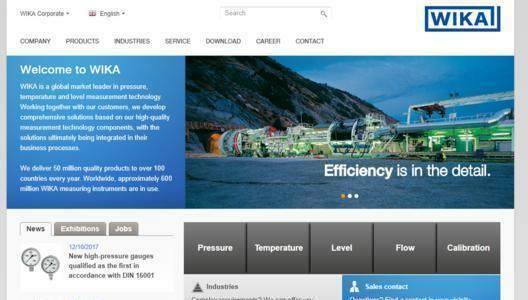 Diaphragm seal systems often operate under extreme conditions. 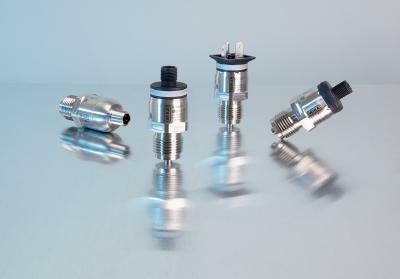 In the event of a failure of the system, however, in many cases it is enough to replace only the mounted diaphragm seal and to continue using the process transmitter. 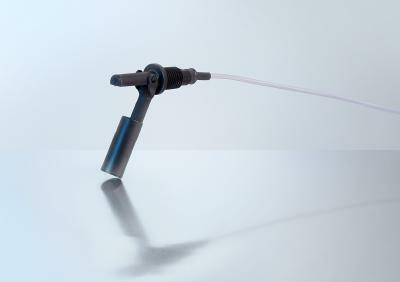 As part of the replacement service, WIKA takes the measuring system apart, checks and certifies the functionality of the process transmitter and replaces the mounted diaphragm seal with an equivalent one. Then a calibration of the new diaphragm seal system is made. If necessary, the mounting and the system fill fluid will be optimised and also new material test certificates issued. With the replacement service, the process transmitter can be fully utilised over its entire service life. Preventive exchange of the diaphragm seal at planned shut-downs further reduces plant downtime. In order to offer this new service worldwide, and as close to customers as possible, WIKA will install service centres in the respective subsidiaries. 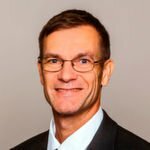 Over the past 60 years, WIKA Alexander Wiegand SE & Co. KG has built a reputation as a renowned partner and competent specialist for any task in the field of pressure, temperature and level measurement. On the basis of a steadily growing efficiency, innovative technologies are applied when developing new products and system solutions. The reliability of the products and the readiness to face all challenges of the market have been the key factors for WIKA to achieve a leading position in the global market. Within the WIKA group 9,000 employees are dedicated to maintaining and improving technology in pressure and temperature measurement. Within our sales organisation you will find more than 500 skilled and experienced employees to talk to. More than 250 engineers and technicians are continually searching on behalf of WIKA to provide solutions for innovative products, improved materials and more economical production methods. In close cooperation with recognised universities, institutes and industrial companies solutions for specific applications are developed.